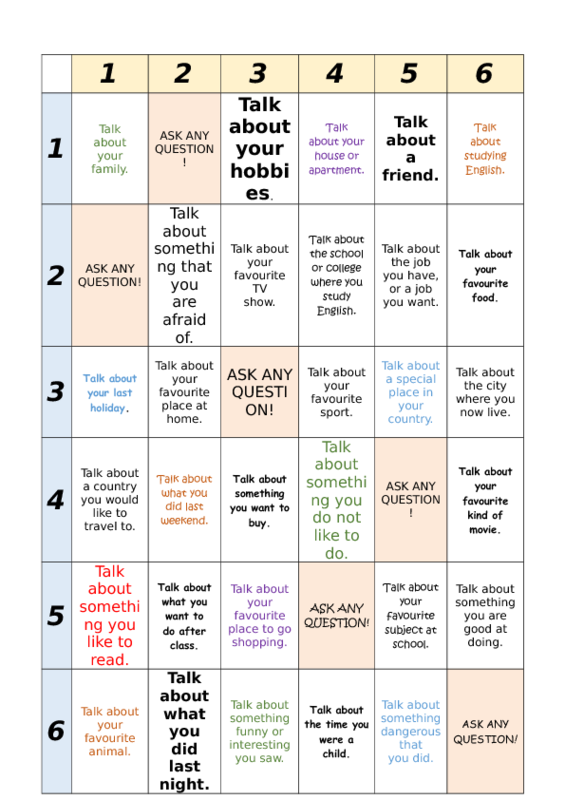 It´s a nice and simple way to get students talking and sharing information about themselves and it also gives the opportunity to ask further questions. It provides good practice of questions, answers and full sentences. 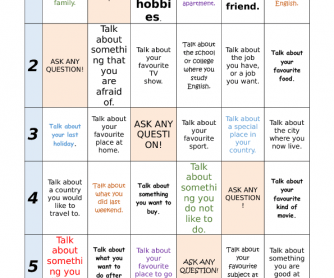 Teachers may want to introduce vocabulary, check verb tenses and other extra activities. You will need 2 dices. Getting To Know Your Friend!